This Planet Robot may look like danger, but there's tons of fun packed underneath that chrome plated shell. Sparks shoot inside his red face mask as he advances forward into action. 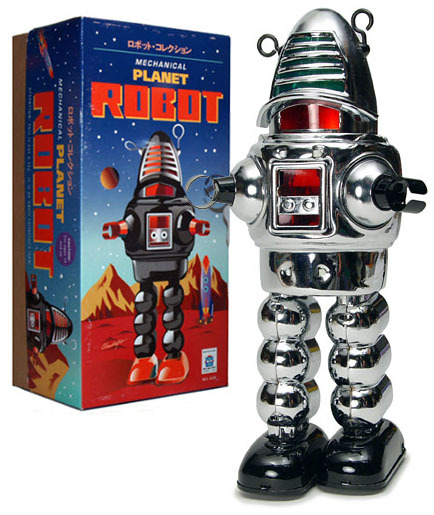 Our alternate images show this collectible robot with some of our other robots and retro prints to inspire your own decor ideas. Other items are sold separately.